Monsieur Truffe 37% Milk Chocolate, made from single-origin Domincan Republic beans, combined with Toasted Coconut is a dreamy indulgence. 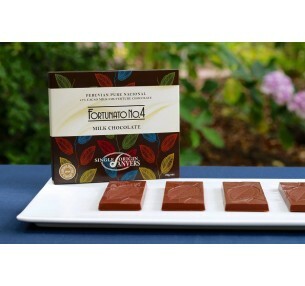 This perfectly paired product, which is Gluten free and Organic, is ideal to share with family & friends. 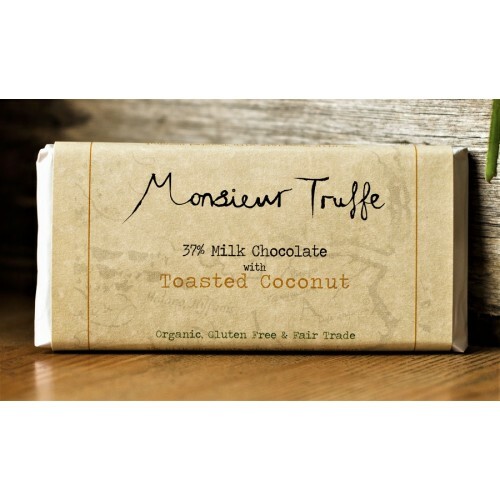 Ingredients: Cocoa Mass (orign Dominican Repulic), Cane Sugar, Cocoa Butter, Whole Milk Powder, Organic Coconut, Emulsifier: Sunflower Lecithin, Vanilla Extract. Made in Melbourne form local & imported ingredients. 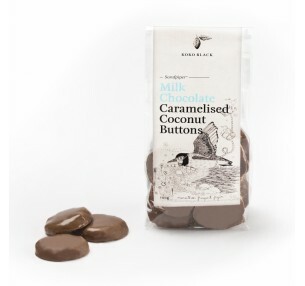 Koko Black blends crunchy Caramelised Coconut with 34% milk chocolate, to create irresistible button..